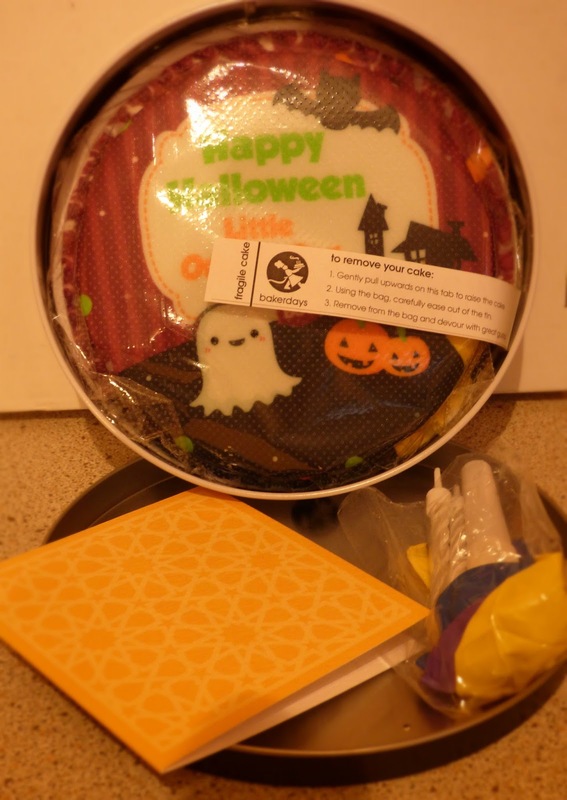 We were reviewing a Letter Box cake from their Halloween range. I've never really considered a cake for Halloween before and assumed that we'd have a choice of two or three cakes; how wrong was I? The range was extensive and had something to suit all ages and themes. We chose the Ghost Party cake. Now, as you know, we have Max, our Little Orange Dog and I was more than a little concerned about the welfare of the letter box cake if it arrived through the door before I returned from work. Not that Max makes a regular activity of attacking the post, but I thought a cake coming through the door, might be a tad too tempting for him to resist. However, I needn't have been concerned. 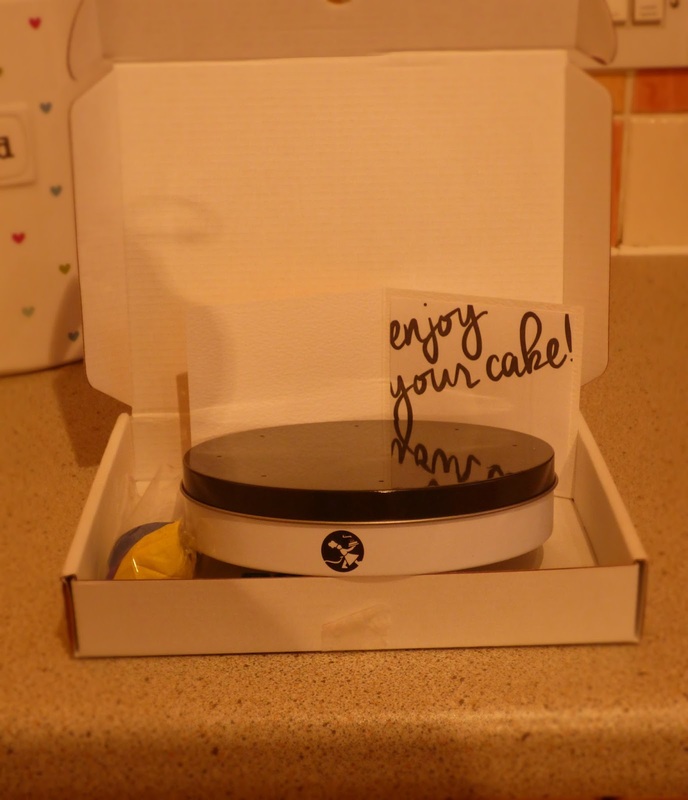 The cake arrived in a well packaged box and when opened the cake itself was in its own little tin, hence it was completely dog proof! How cute is that little tin? 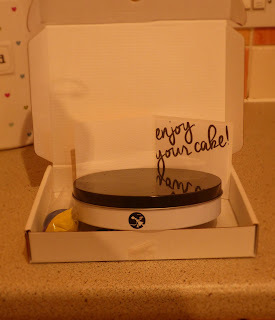 I won't deny, I was just a little over excited upon seeing it sitting in the box but not as excited as I was to find our beautiful personalised cake within. The thought that has gone into the packing is way beyond what I would have expected. Not only was the cake well protected, but bakerdays had even thought to include candles! And the 'enjoy your cake' card was a lovely touch. Isn't our cake lovely? Have you ever seen a cuter ghost? Have you ever see a ghost at all? Do let me know in the comments. This cake would be absolutely perfect for a children's Halloween party, or as a pre or post trick or treat snack with a nice hot chocolate. 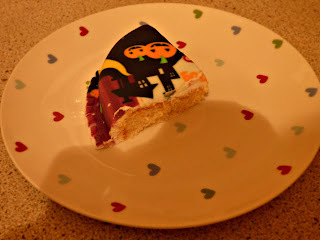 I was particularly happy with the personalisation service that bakerdays specialise in. 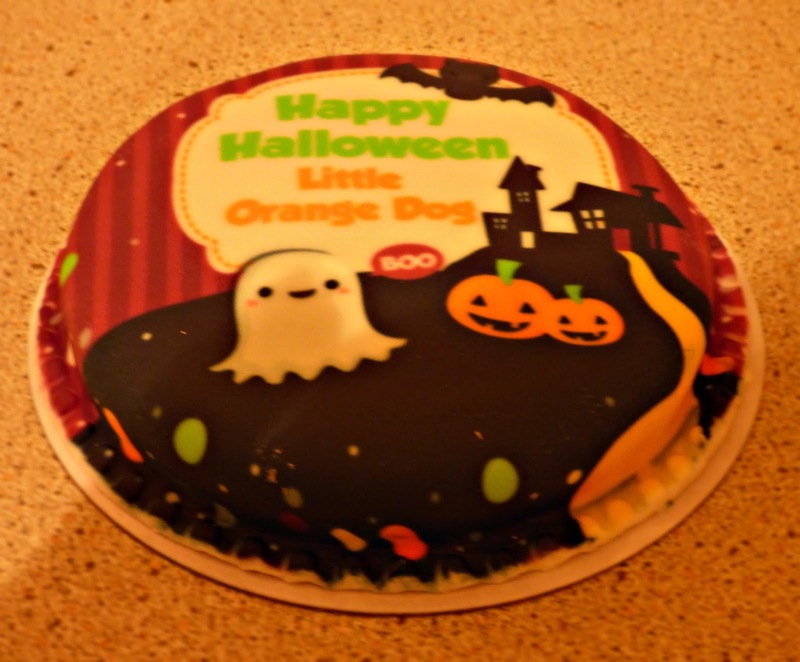 On this occasion we had our cake personalised with Little Orange Dog, but I would definitely use the service again for birthdays. I know that both of my girls would love to have personalised birthday cakes, and of course the letter box cake would make a perfect gift for a friend or loved one. As you can see we had the vanilla sponge and it was delicious, but you can also choose to have fruit cake, chocolate chip sponge, gluten free or dairy free. The letter box cake measures 5'' in diameter so it's perfect as a gift with 3 - 4 servings. Delivery is also available 6 days a week and if you need a cake in a hurry, provided you order by 2pm they can deliver the next day (which could be very handy, if you are particularly forgetful, like myself). If you'd like to have a look at their beautiful range of cakes for yourself, please visit their website www.bakerdays.com alternatively, visit them on Facebook or follow on Twitter.